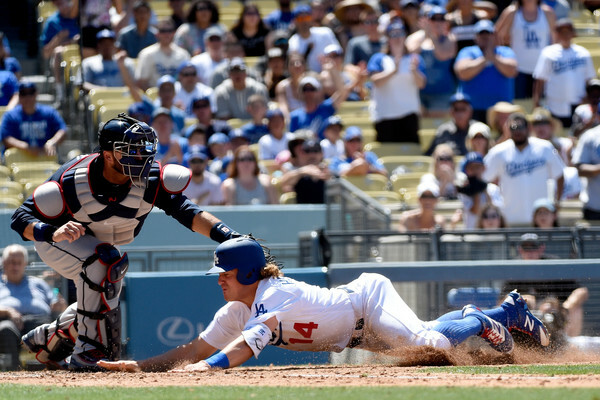 Dodgers activate Kiké Hernandez from disabled list, option Austin Barnes to Triple-A. The Dodgers activated utility player Kiké Hernandez from the disabled list today and optioned Austin Barnes to Triple-A Oklahoma City. Hernandez is in the Dodgers’ starting lineup and playing center field, manager Dave Roberts said. Barnes went 1 for 4 with a double in his latest cup of coffee with the Dodgers, which consisted of four games. Hernandez missed 26 games with inflammation in his left ribcage. He’s seen time at second base, third base, shortstop, center field, left field and designated hitter this season. Hernandez is slashing .189/.280/.346 in 65 games. This entry was posted in JP on the Dodgers and tagged Austin Barnes, Kiké Hernandez by J.P. Hoornstra. Bookmark the permalink.